The Kennebec Valley YMCA Stingrays competed in the Maine YMCA State Championship Meet March 1-3 in Orono. The Stingrays took home the team runner up trophy, the girls team championship trophy and the 8 and younger girls age group champion trophy, according to a news release from Andrea Lowell, marketing and development director, Kennebec Valley YMCA. The girls 11-12 200-free relay team of Abigail Bourgoin, Addie Pollis, Anna Clausen and Suri Ramkissoon finished in third place to secure the two team trophies. In addition, the team achieved 20 new team records, six meet records, one YMCA state record, two Maine Swimming (USA swimming) state records, two new National cuts, two additional swimmers qualify for Winter Champs, had 11 swimmers win 18 individual events, and had one relay champion, according to the release. The team record breakers were Eli Burnham, Emily Kennard, Ian Fournier, Emma Thomas, Ryan Emerson, Cecilia Guadalupi, Gabby Low, Delaney Willey, Nathan Berry, Maddi Curran, Jake Witham, Cade Parker, Eli Story, Addison Burnham, Liz Brown and Anabelle Orth. The Y State Record was set by Ian Fournier in the 50 breast. The two MESI State Records were set by Eli Burnam in the 50 free and Gabby Low in the 100 back. The meet records were set by Emily Kennard in the 100 free, Ian Fournier 50 breast, Cecilia Guadalupi 100 breast, Gabby Low 100 fly and 100 back, and Nathan Berry in the 50 free. New YMCA National Qualifiers were Delaney Willey in the 50-free, and the Girls 200-free relay. New Winter Champs qualifiers were Braydon Brennick in the 50 back and Kate Mason in the 100 breast, according to the release. 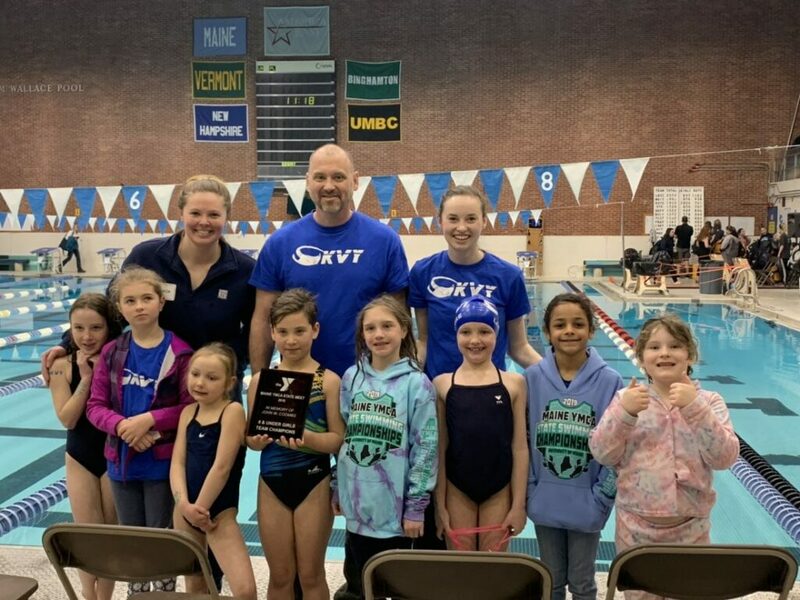 KV YMCA Stingrays State Champions were Lydia McDowell, Eli Burnham (two), Amara Johnderson, Emily Kennard (two), Ian Fournier (three), Zac Claude, Emma Thomas (two), Ryan Emerson, Ceclia Guadalupi, Gabby Low (two) and Nathan Berry (two). In addition the girls 8 and younger 100-free relay of Anya Johnderson, Gabby Lazure, Meghan Inch and Sara Fournier provided their one relay championship.